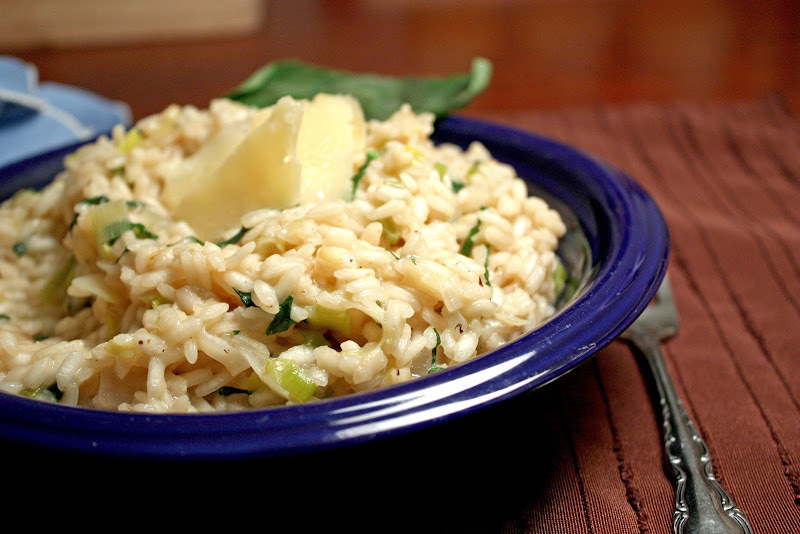 Onion, leek, and parm risotto | Naturally. You know the phrase, “you have ants in your pants?” That describes me in a nutshell. I always am on the move and can’t sit still for more than 15 minutes. So, when I found out that one of my birthday surprises was a one hour massage, I was a little hesitant. I mean, Mike expected me to take an hour out of my busy day to get pampered, really?!? By the time the massage ended, I barely realized time had passed and really wishing I could have another hour. I felt amazingly relaxed (like jello) by the time I was done, Mike didn’t know what to do with me. So to thank Mike, I wanted to make him a nice Valentine’s dinner and what says love better than a perfectly cooked risotto? Well probably a lot, but this dinner was still fantastic. Simple, vegetarian, and filling. 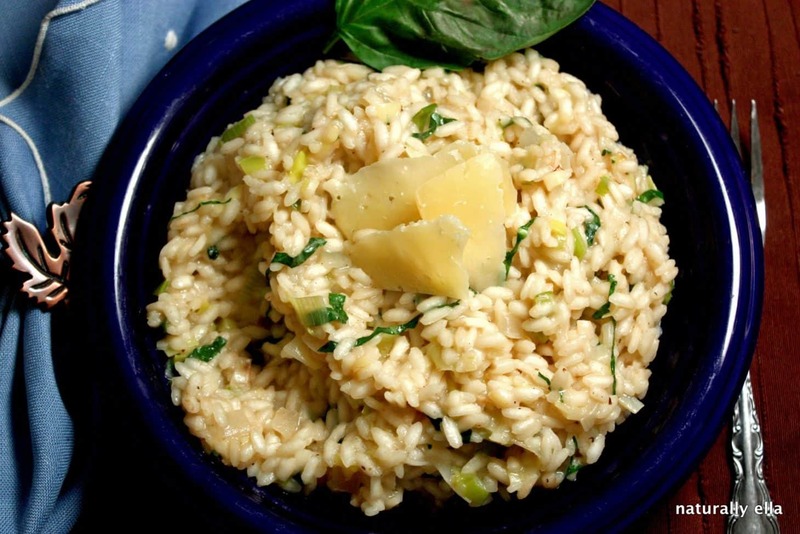 I love risotto because there is the right amount of crunch in such a creamy dish. While this didn’t turn Mike into the most relaxing person (that happened when I made crepes later), I think the risotto was the perfect meal for Valentine’s day. In a small stock pot, stock ingredients to a boil and immediately reduce to a simmer. Let simmer for 30 minutes, strain, and set aside vegetables. Reserve 2 1/4 cup stock for risotto and save the rest for another use. Place broth back in pan and keep over low heat. In another stock pot, heat oil over medium heat and add onions, leeks, and green onions. Saute for five minutes so that onions begin to soften. Add rice and continue to cook for 2 more minutes. Add white and cook for one more minute until wine is absorbed into rice. Add one cup of broth, stir and let absorb into rice. Continue 1/4 cup at a time, absorbing after every addition, until broth is all absorbed into rice. Once broth is absorbed, remove from heat and add basil and Parmesan. Stir to melt cheese, garnish with extra basil and Parmesan. Serve warm. My husband and I made this tonight. We thought it was good. We added some mushrooms and we actually threw in the boiled vegetables at the end. I also added some spinach to mine. I think next time I would add some rosemary or another herb to it!